Extend the same corporate user experience to small branch and remote sites with a solution that’s easy to deploy and manage. 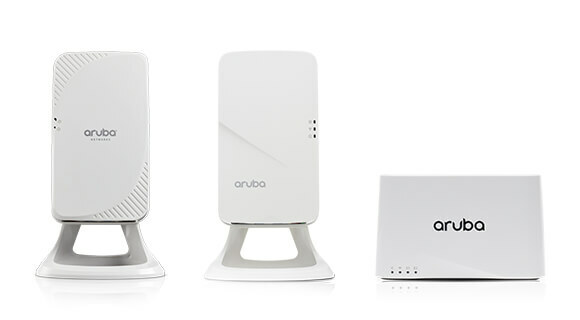 Aruba remote access points come preconfigured, so employees simply plug in to any existing Internet connection and they’re ready to go. 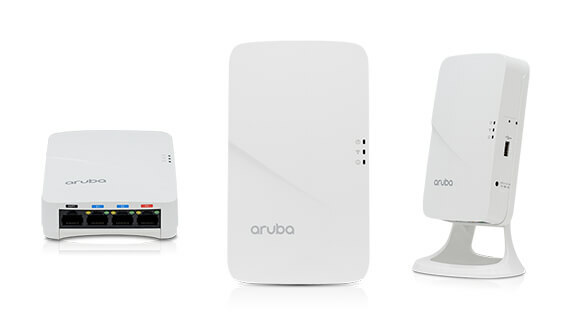 Deploy a remote office network securely with the ease of plug-and-play. Connectivity for your mobile workforce. Remote APs extend the corporate network to users working from home, or at temporary work sites. This means users can access the same SSID, Intranet, and other services. Gigabit Wi-Fi for your home office. 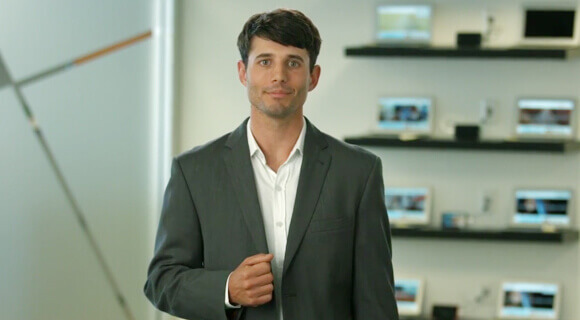 Accelerate wireless speeds with 802.11ac Wi-Fi, connect wired printers or IP phones, and support USB cellular failover, all with a single access point. With split-tunneling, personal traffic routes directly to the Internet to help reduce the burden on the corporate WAN and protect user privacy. Provide a range of options for your remote sites. Remote APs (RAPs) establish an SSL/IPSec tunnel to connect to a central controller and enable network access for users. All Aruba RAPs can be factory-shipped to a local site, and download configurations from a central controller for a zero-touch experience. If you don’t have a RAP, or you’re away from the home office, learn how the Aruba Virtual Intranet Access (VIA) client can help you stay connected. Scale your enterprise with the performance needed to support the high demands of campus and remote networking requirements.